It’s that time of year–kids are starting to head back to school. We had such a fun summer at my house and when the end of July rolled around I started to have a panic attack that school was starting in three weeks. 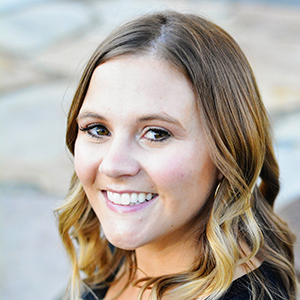 But now I think I’m ready…my kids are getting bored and their friends are all on vacation still, so we have to start thinking of ways to celebrate the next season of the year–school! I always loved the beginning of a new school year. I loved the new clothes, the school supplies, seeing all my friends again and making new ones. I was always ready for it. And now that I’m a mom, I want my kids to have those same feelings…so we try to celebrate it by having a fun Back to School dinner. It’s not a huge deal, nothing that would make other moms feel that pressure to be Martha Stewart about yet another made up holiday, but just a simple little table scape and a relaxing and delicious family dinner. 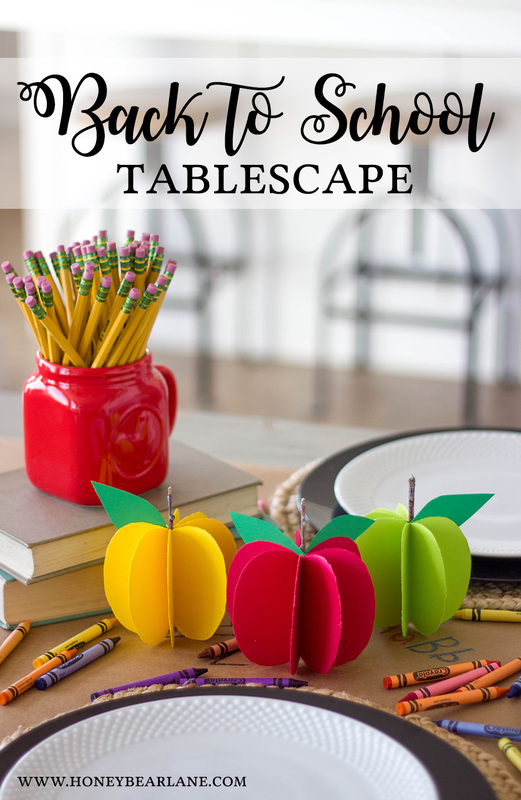 To make this tablescape, I started with a cute little paper craft–these paper apples. 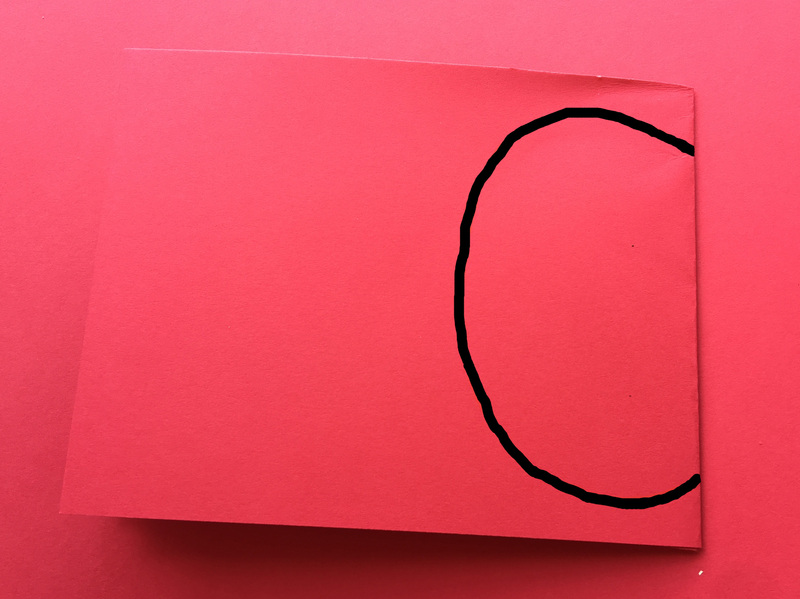 These are super simple to make and you don’t have to own a craft cutter or anything. 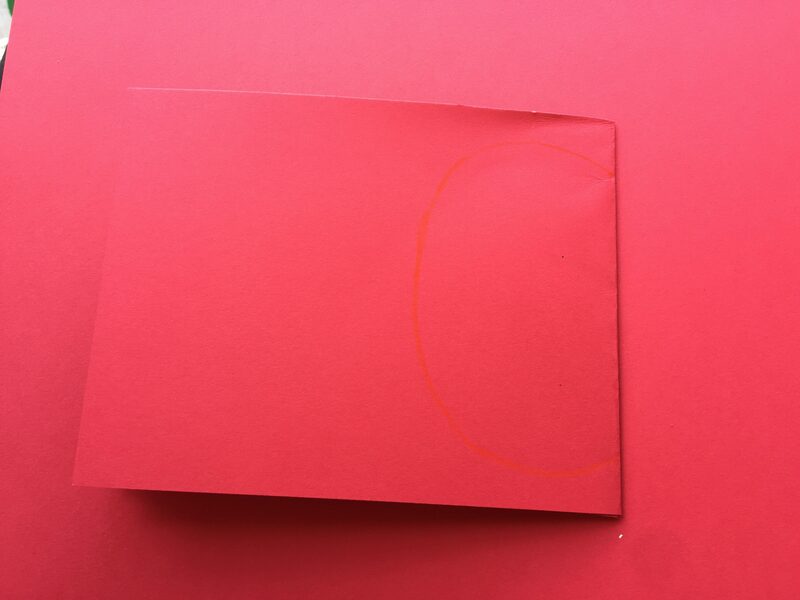 I used my favorite bright colored papers–ASTROBRIGHTS®. Step 2: Fold each piece closed and use the glue to sandwich them together…so each piece is glued to the next and when the glue dries you can open it up and it makes an accordion. 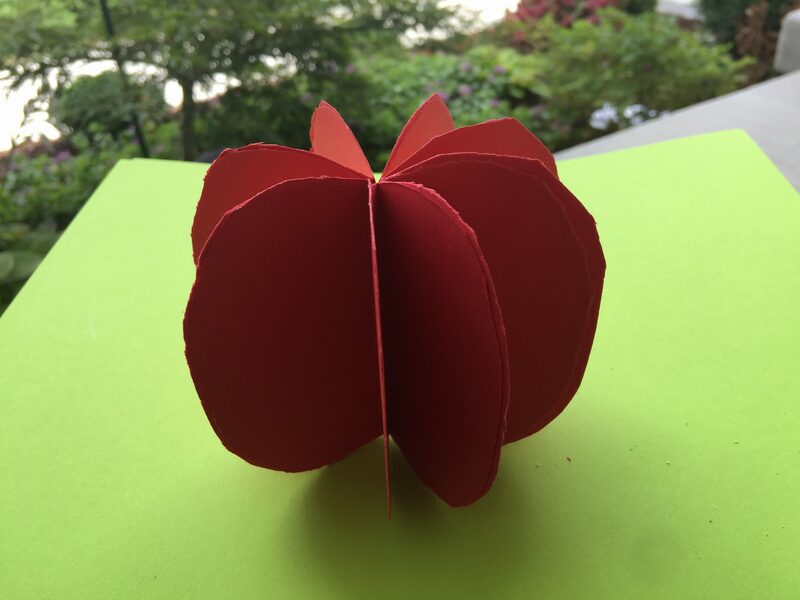 Glue the first and the last sides together so it forms a round apple. Step 3: Slide a twig into the center. 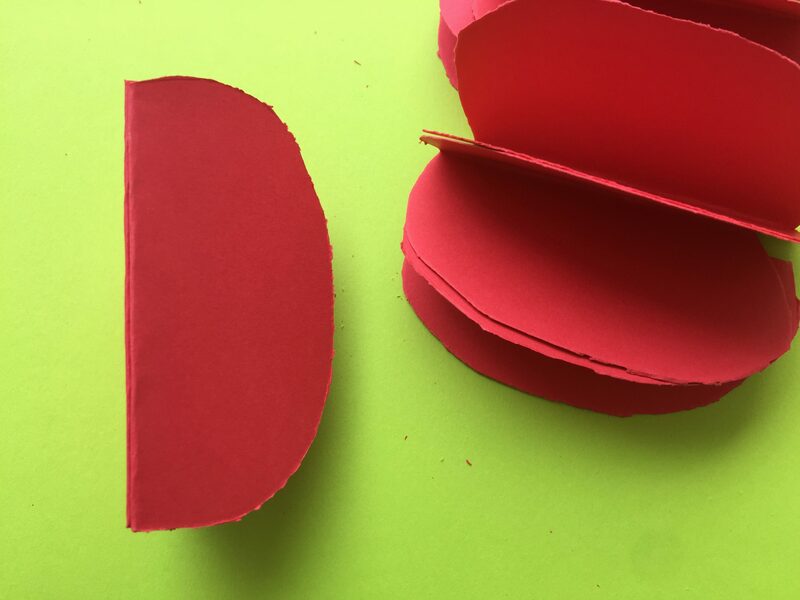 Cut a leaf shape out of the green cardstock and add a leaf or two by slipping it in between the wedges. Repeat these steps for the other two colors. 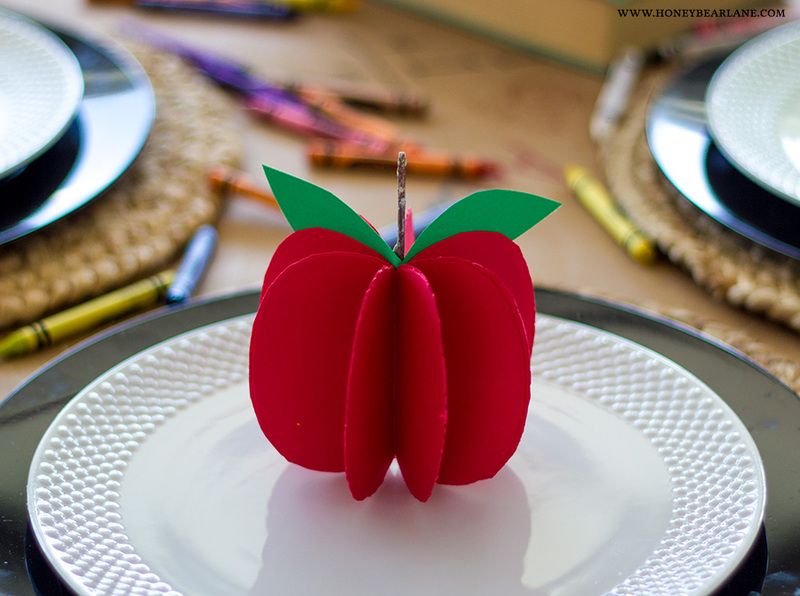 You can use these little paper apples for place cards or just as a centerpiece. To use them as a centerpiece, I lined the table with some brown Kraft paper with some cute doodles on it. Then I put a bunch of pencils in a mug, scattered new crayons on the table, and added a few books. All items that you can easily find and I literally used the school supplies I purchased for my kids. 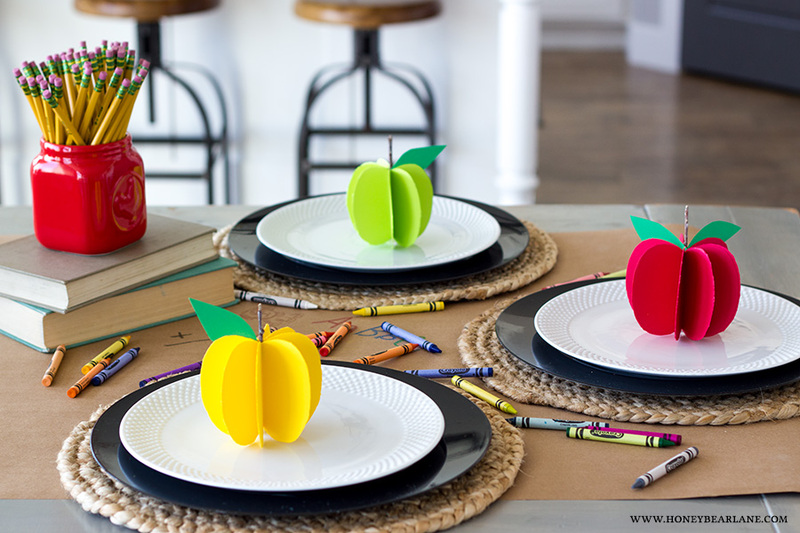 Such a fun and simple back to school dinner party idea! 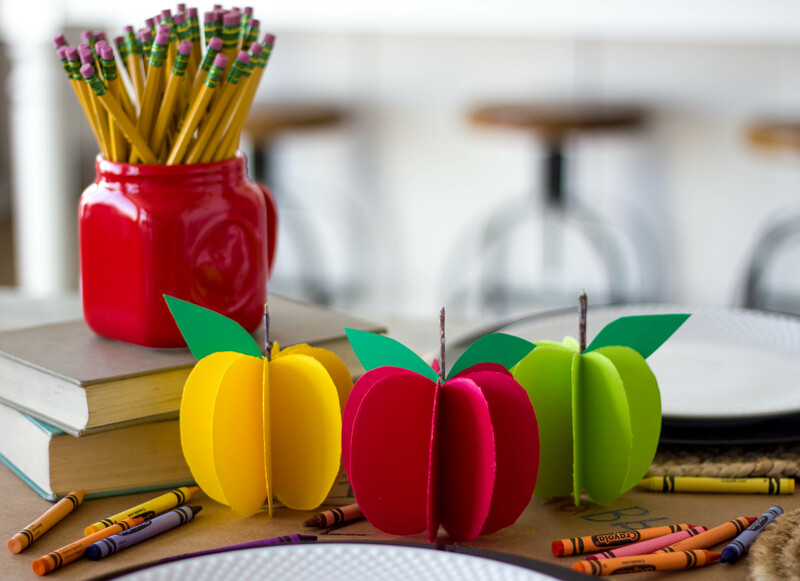 And as a bonus, you can use your apple paper crafts as fall decor afterwards! Big thanks to Astrobrights Papers for providing the paper for this paper craft and sponsoring this post. All opinions are my own.